As I dried off from my shower this morning I looked at the towel I was using. It was a nice olive green, thick fluffy towel. At one time. It is now somewhat faded and the edges are showing some wear. It seems like yesterday I was just opening up the box laden with tissue paper and several brand new, fluffy towels and washcloths. Fast forward a bit to breakfast. I reached up to grab a bowl for my daughter’s cereal. Yep – another small chip on the edge. The dishes are showing their wear, too. I remember picking them out and registering for them and just hoping that I received enough place settings to serve meals to the guests we would one day welcome into our home. Hoping that these dishes would be used by friends and family and would last for awhile. Our pots and pans are starting to show their age. We are driving different cars now than we did back then. We have made so many changes in our lives. We don’t even live in the same state. But there is one constant. One thing that has improved with time. 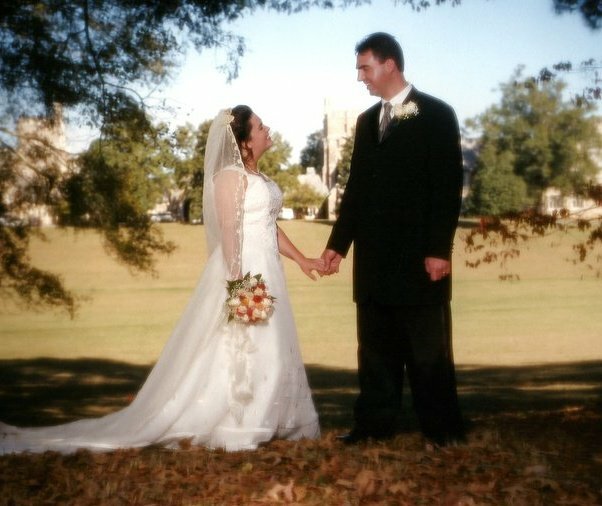 The marriage that began 9 years ago is oh so much better than it was when it started. And I thought we had it pretty good then. Hubby and I have weathered a few storms and have seen joy and sadness as we have built our life together. And I am still in awe that someone as wonderful as him could love me the way he does. Today, we are light years from where we were 9 years ago. Not just because we moved from Georgia to Maine. Not just because we have had two wonderful children. Not just because we have held each other through the tough times and moments of sadness and grief. We are better because we have been through it all together. We have walked beside each other through the thick and thin. And he is still my favorite person to be around. I am happiest just being close to him. Holding his hand. Driving down the road. Talking. Sipping coffee amid the noise of our life (and wonderful children). A reporter once asked Johnny Cash what he thought heaven was like. His answer was something like this: “This morning, having coffee with her,” (referring to June Carter… the love of his life). That is exactly how I feel about my husband. So today, we celebrate 9 years together. Among the tattered towels, chipped dishes, and other things that are only here for a moment… I am so glad to be married to the love of my life. And it just keeps getting better with time.